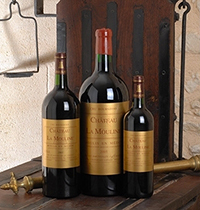 Until in February 1920, Vicomte de Courcelles lived with its family on the Domaine de La Mouline. It is then Ismaël LASSERRE which became the happy owner of this winegrowing estate of a surface of 4 hectares 70 ares and 37 centiares. It will exploit it until its death. His André son, will ensure the succession and will take again the exploitation in the Forties. Then, her daughter Madeleine LASSERRE, wife of Jean COUBRIS will inherit it in the Sixties, and together, they will assume the responsibility for it until March 19th, 1981. And it is with passion that their child Jean-Louis COUBRIS accompanied by his sons Jean-Christophe and Cédric, ensures the wine making to perpetuate the family tradition. They work together with the development of the property during decades 80 and 90. 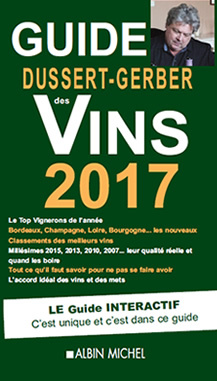 To date, Cédric COUBRIS, continues the exploitation of 22 hectares vines on the 25 hectares of surface of the property, with her two daughters Lucie and Julie. While waiting, you will be able to discover this Moulis-in-Médoc Cru Bourgeois 2012, matured out of barrels during approximately 18 months, medal of Argent Paris 2014, with the persistent notes of undergrowth and blackberry, a wine which combines structure and flexibility, with dense tannins, which is tasted remarkably, perfect on a hare or lamb.